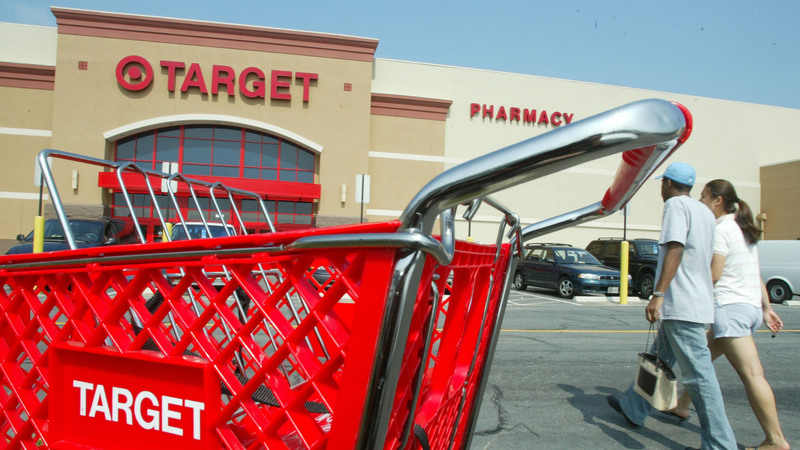 I'm going to state the obvious here, but everyone loves Target — how can you not? The retail chain carries everything from food and toys to clothing, cookware and home decor. But Target just made us love them even more. On Black Friday and other peak days, Target will offer mobile checkout… meaning you can check out wherever (and whenever) you want. According to a press release, the new "skip the line" checkout will give customers a "more convenient experience…[by allowing] team members… [to] scan any item in a guest’s basket or shopping cart and accept payment by credit card on the spot from anywhere in the store." Target's checkout technology is the company's latest innovation designed to make shopping easier. Last month, the company announced they would be offering free, two-day shipping (with no order minimum), and last year, Target introduced technology that allows team members to place Target.com orders for guests in-store and then have the purchase shipped to their doorstep. But the good news doesn't end there. Target also released their Black Friday ad, which includes some amazing deals in toys, electronics and entertainment. They announced the return of their popular weekend deals, which will begin Saturday, Nov. 10 and run through Saturday, Dec. 15, and Target revealed they will once again offer localized store maps in the Target app, which will show customers where specific Black Friday deals are located within each Target store. If customers want to nab the hottest deals this Black Friday, they'll have to head out early: Doors open at 5 p.m. on Thanksgiving, close at 1 a.m. Friday, Nov. 23 and reopen at 7 a.m. on Friday, Nov. 23.